The experienced dentists at Dental Professionals of Fair Lawn are experts in treatments for sleep apnea and snoring that can reduce risks to your health and give you a more restful night’s sleep. If your dentist suspects you might be suffering from sleep apnea, we can refer you to a local medical sleep study practice that we work with. 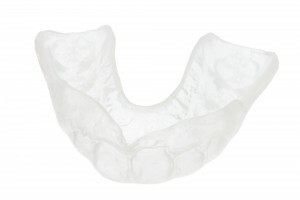 After a sleep study has been completed and you have been diagnosed with sleep apnea, we can have a customized oral sleep appliance – similar to a mouth guard – created for you. These form-fitting appliances are designed for the most comfortable fit possible. Oral sleep appliances can open the airways while you sleep, allowing for a more positive airflow through breathing passages. This can ultimately lead to a more restful and healthier night’s sleep, as well as a reduction in snoring. This form of treatment can be very beneficial for reducing the many health risks related to sleep apnea. For many people, the oral sleep appliance can also be an excellent alternative to surgery or a cumbersome CPAP machine. We are also able to create a customized snore guard for patients who do not have sleep apnea, but still want to correct their snoring. If you or a loved one snores or has difficulty breathing while sleeping, we can help. Please contact Dental Professionals of Fair Lawn today to schedule a consultation and sleep apnea assessment.